Browse: Home / BetterCap v1.1.10 – A complete, modular, portable and easily extensible MITM framework. 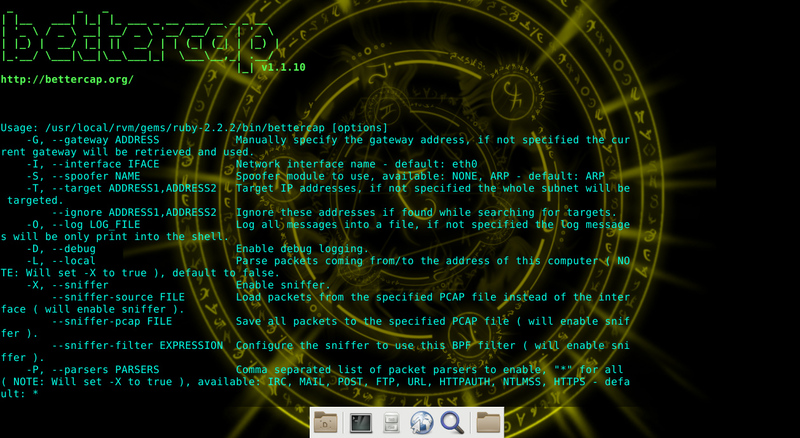 BetterCap v1.1.10 – A complete, modular, portable and easily extensible MITM framework. + Implemented –silent option to suppress Logger messages. + Implemented –no-target-nbns option to disable targets NBNS hostname resolution. + Implemented –custom-parser REGEX option to use a custom regular expression for the sniffer. + Option -T|–target now supports both ip and mac addresses. + Using StreamLogger for both Proxy and Sniffer traffic. Better sniffer logging. + Fixed a bug which caused the logger to raise an exception when -h|–help option is passed. + Give some time to the discovery thread to spawn its workers, this prevents Too many open files errors to delay host discovery. + Fixed a bug which caused exceptions not to be printed. + Suppress log messages as soon as CTRL+C is pressed. + Removed deprecated tests folder. + Wrapped every class with module BetterCap and refactored old code structure. + Various refactoring with if/unless boolean conditions. ← Penbox ~ Pentesting tools auto downloader Script.